Not only providing you with more room in your cabin, packing light and bringing just enough essentials will also help you to save the hassle of lugging your packs up and down onto ferry transfers. You may have the shuttle bus drop you off at a short distance from the ferry terminal center, this means a possibility of having to carry your packs or drag your luggage while getting past crowds and messy road crossings to reach there. 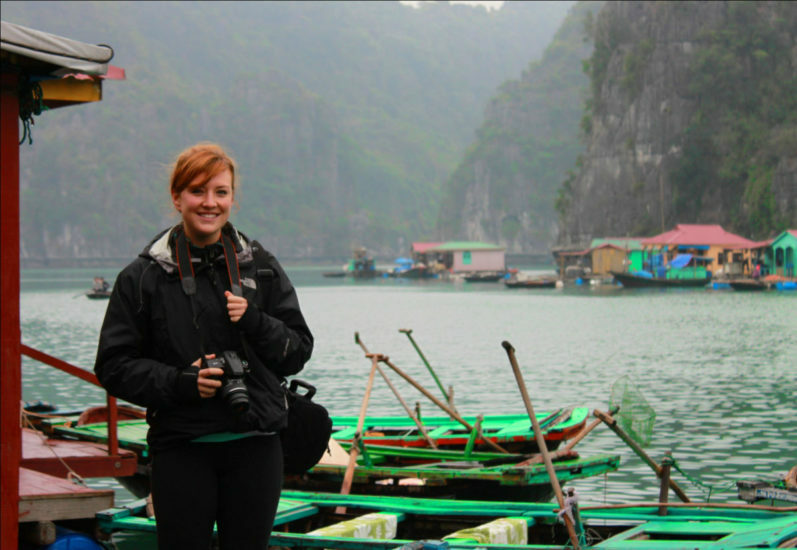 Your guide will most likely help with taking your pack and stacking it at the front of the bus when shuttle buses first pick you up from your accommodation in Hanoi. As some buses are small, due to the limited storage space, if your luggage/pack is of a smaller size, it would help everyone. If you choose to participate in kayaking on day 2, pack adequate clothing (swimsuit, shorts, T-shirt, extra set of sunscreen, dry clothing, toiletries, towel, hat, dry bag, sunglasses and sandals. In winter, it might get chilly by the evenings after your activities, a sweater will also help with keeping warm. 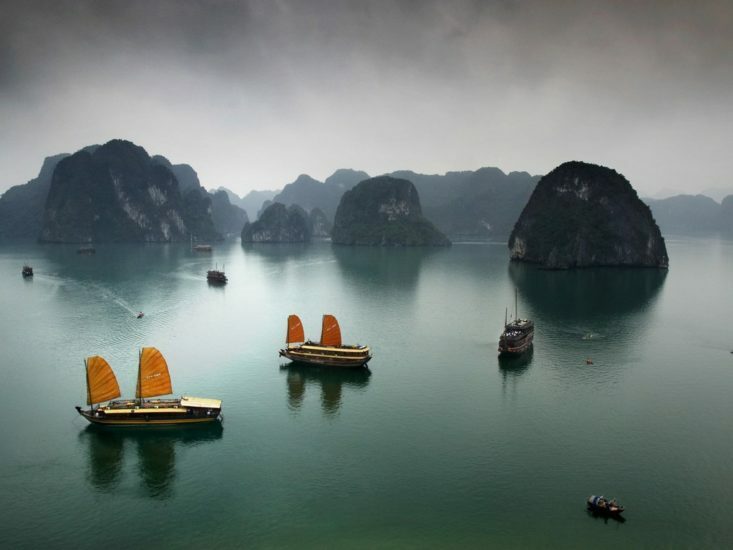 It is easy to forget that after looking at all the gorgeous images tourism websites show that it afterall, should be a top tourist attraction in Vietnam. 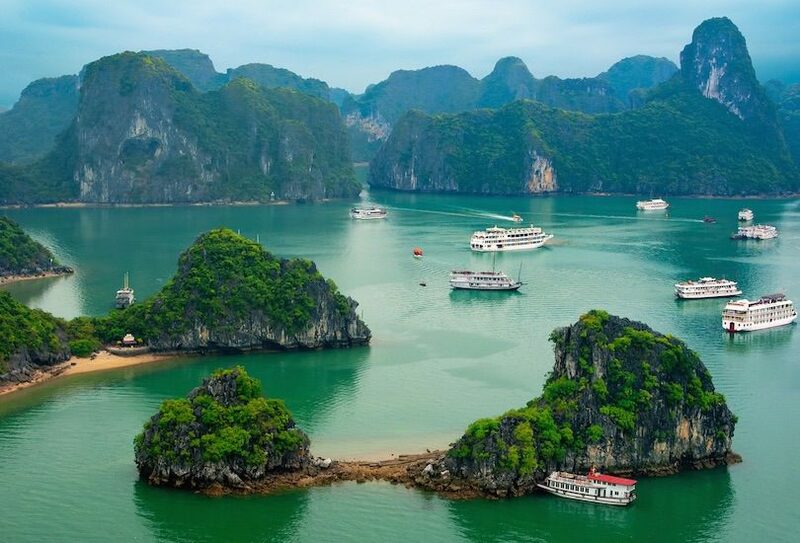 When you first arrive in Halong Bay, the amount of coach buses dropping off hordes of travelers who will then wait their turn to get onto a ferry which takes them onto their respective cruise boats, is the first thing you will see. 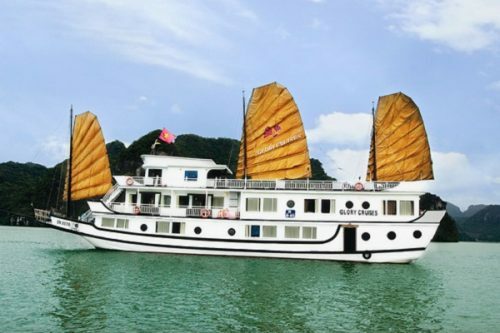 Since you check into your cabins, you will realize that floating around Halong Bay are many other cruise boats. Once you go farther out at sea, they will only seem to disperse. 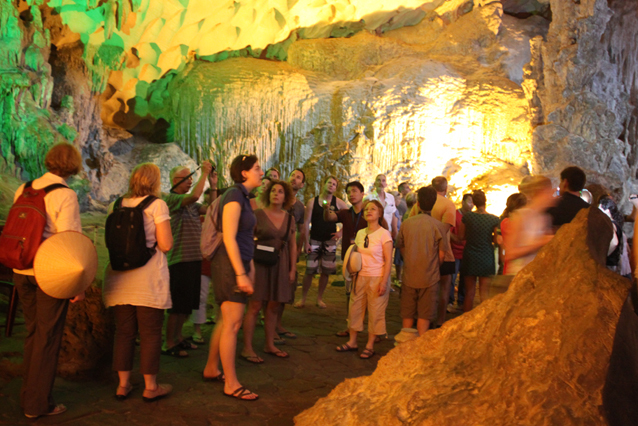 A part of most itineraries will be a hike into Sung Sot caves and up to Mount Ti Top lookout. It is likely that the same people you see on the pier would also be following the same footsteps as you. As once conquering the steps to reach there, you will realize that this small hill (viewing platform) only fits about 10 people, try to get to Mount Ti Top lookout before groups of people! The incredible views are well worth it though. Basically, you can be met by 1000 other tourists at these places that you go out of your cruise boat. Keep in mind that you are one of them and deal with it (weather or not someone’s head is blocking your perfect postcard picture.) It is a must to listen to your guide and follow the rules of time and meeting points. 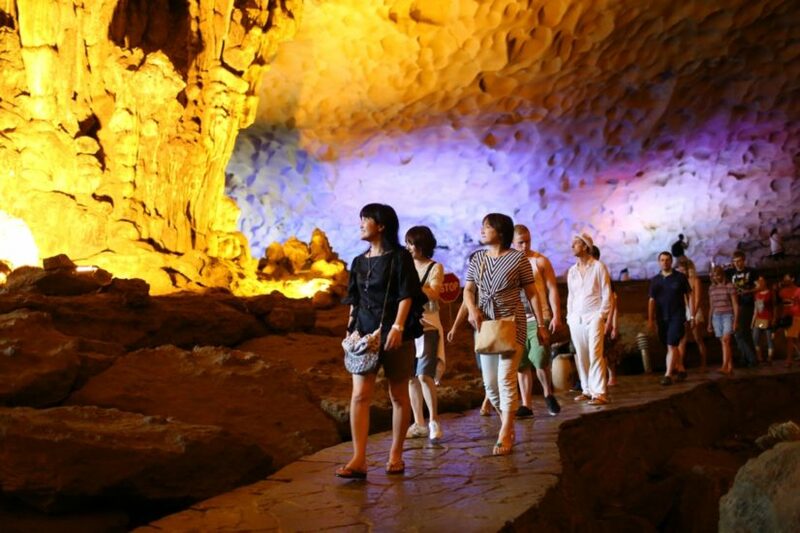 Not only the large size of Sung Sot Cave in Halong Bay , the short walking tour to explore these spectacular caves involving climbing up and down flights of steps will also surprise you. This goes the same for the hiking tour up Mount Ti Top, even though it takes you only about 20 minutes to reach the peak, you will have a good leg work-out after the amount of steps. Walking shoes should be the way to go.